My tot has always been a cheese and yogurt lover like any kids. At one point, I thought he's taking too much dairy in his diet as he eats yogurt and cheese many times a day. So I switched him to almond milk instead of cow's milk. Well, he still drinks 2% milk too but mainly he drinks almond milk. I love the nutty taste of it and the fact that it's non dairy, it makes me feel healthier. 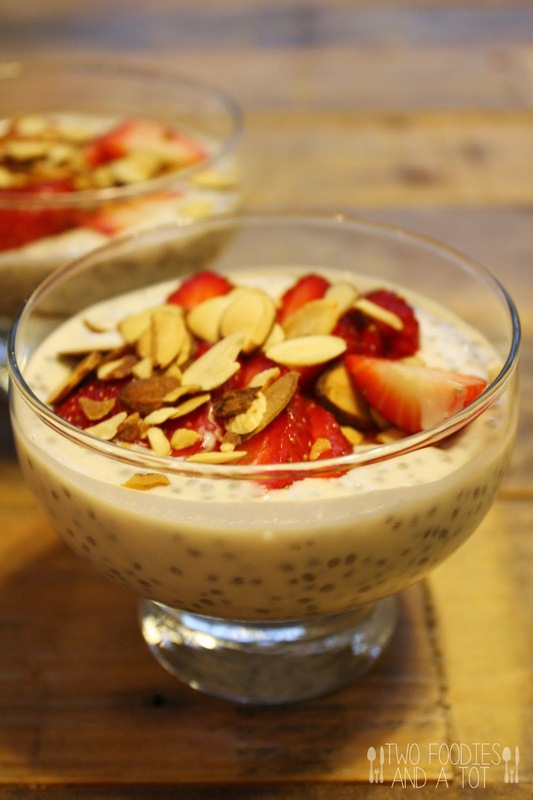 Since we add chia seeds in our yogurt all the time, I knew chia seeds strangely become gelatinous but never thought to use it for pudding until I found this recipe months ago. I didn't find extra maple syrup was necessary for the strawberries as the ones we had was very sweet and tasty. And we usually only have unsweetened almond milk at home and with maple syrup added to it, it was the perfect sweetness for us. I personally don't like sweetened milk, so I didn't go out of my way to buy vanilla flavored almond milk. This is a great breakfast or a perfect after nap snack for my tot. 1. In a medium bowl, whisk almond milk, yogurt, maple syrup, salt and vanilla extract. 2. 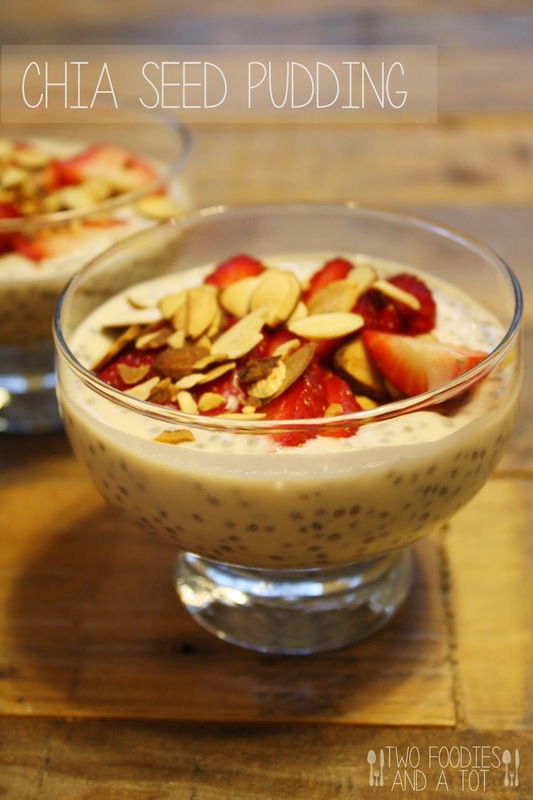 Add in chia seeds and let it stand for 30 minutes. Place it in the fridge over night. 3. When ready to serve, toss strawberries with 4 Tbsp maple syrup and mix with almond slices. 4. Spoon the pudding to serving cups and top with strawberry-almond mixture.